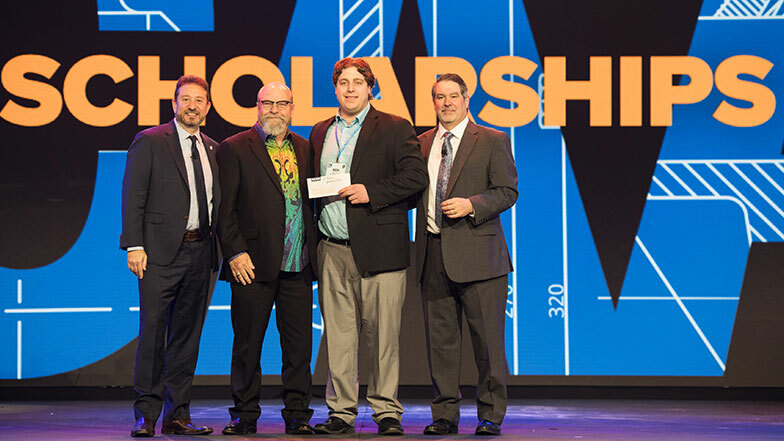 MCERF announced the recipients of four MCERF Scholarships created to honor the industry leaders they are named after. 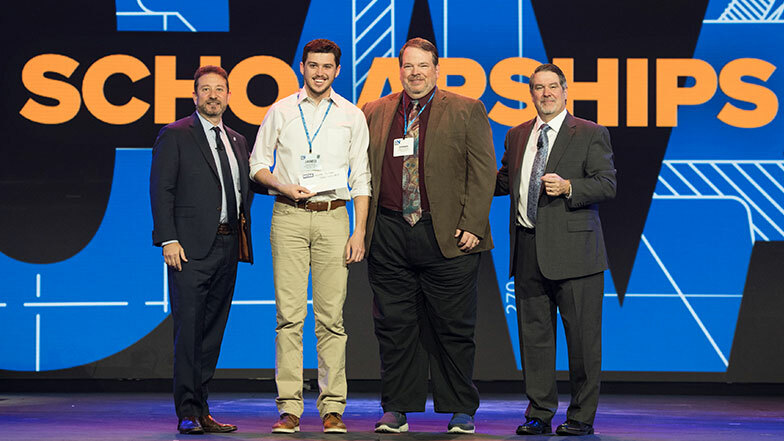 The students receiving these scholarships were selected by our Career Development Committee for their exceptional academic performance, leadership skills, interest in developing a career in the mechanical industry, work ethic and technical abilities. Jared Kirkland, a senior at Kansas State University, took home the Foster J. McCarl, Jr. Memorial Scholarship. Shawn McCarl of S.P. McCarl & Company, the scholarship sponsor, presented the check for $2,500. Ben Pikus, a senior at Kent State University, took home The William A. Bianco, Jr. Memorial Scholarship sponsored by Kinetics. Kinetics Executive Vice President Global Operations Michael Cables, an MCAA past president, was on hand to present the $5,000 check. 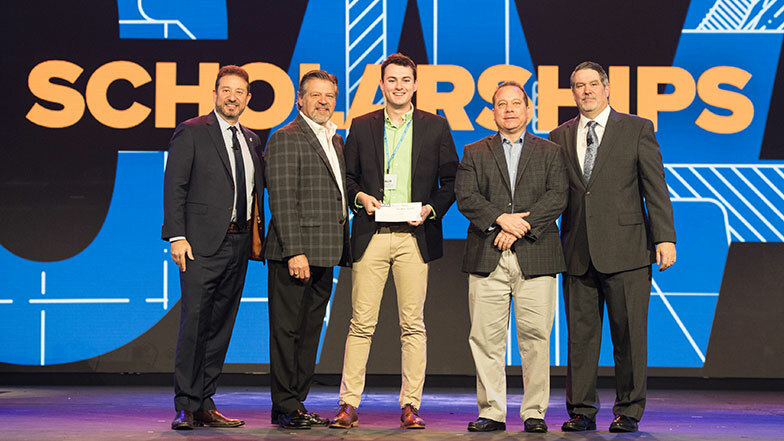 Zachary Queen, a junior at Kansas State University, received The Reilly Family Memorial Scholarship. Robert Beck and Nick Optis of John W. Danforth Company, the scholarship’s sponsor, presented the check for $5,000. 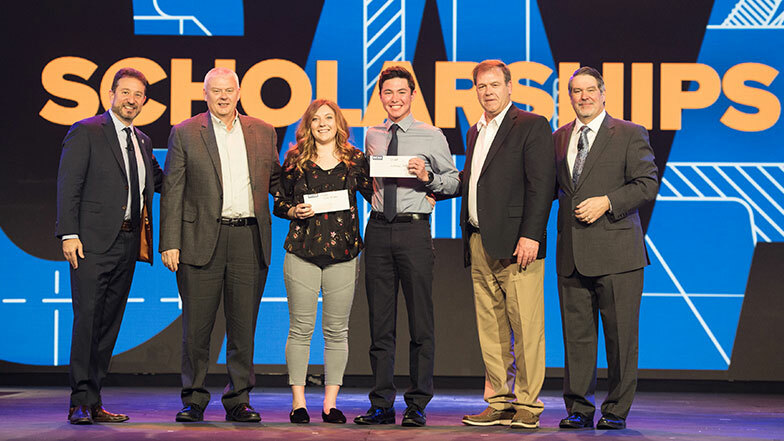 Ruth Edgar and Nate Snyder, both juniors at the University of Nebraska – Lincoln, took home The Alan O’Shea Memorial Scholarship, marking the first time two scholarships were awarded. Kevin Armistead and Marty Drobny, representing MCA of New Jersey, the scholarship’s sponsor, were on hand to present the $2,500 checks.